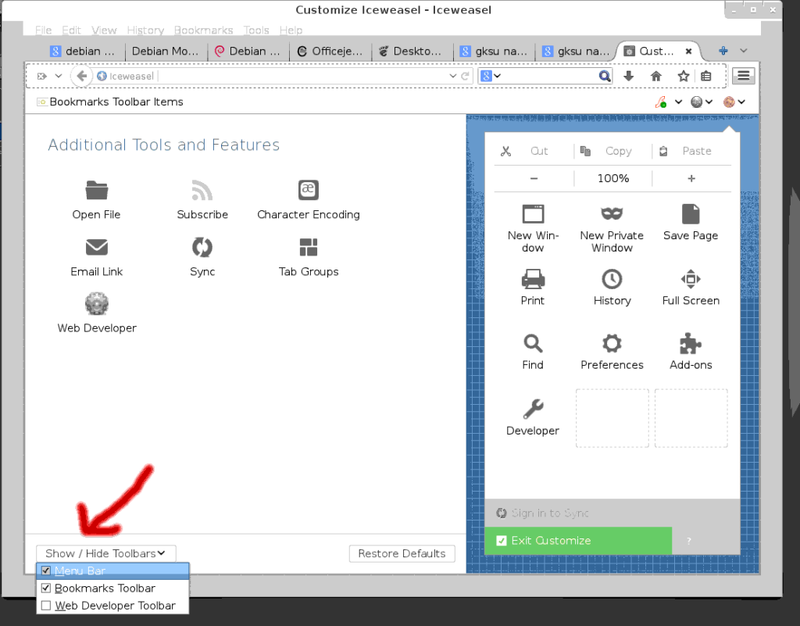 In recent versions of the Firefox browser (A.K.A.IceWeasel in Debian distribution of Linux), the developers have made their aestheic choice to hide the menu and certain toolbars by default. 1. Go to the “Open Menu” button at far right by address bar. 3. 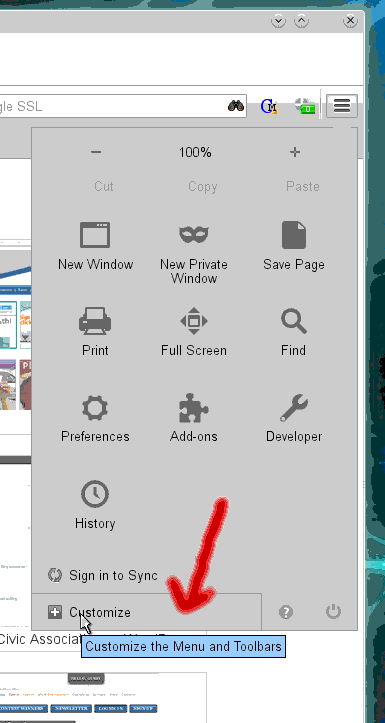 In the page that opens in your browser, go to the bottom left and choose the desired menu and toolbars through the “Show / hide Toolbbars” dropdown.